The Atkinson Traveler, Otter and Lutre all offer superior craftsmanship and materials, with the advantage of custom flexibility in all aspects of construction. Visually the lines of Bourquin canoes are similar to those of the old E.M. White canoes first produced in Maine over 100 years ago. Recently, Jeanne has been adding an Ojibway profile to her canoes, calling them Indian Otter and Indian Atkinson Traveler. 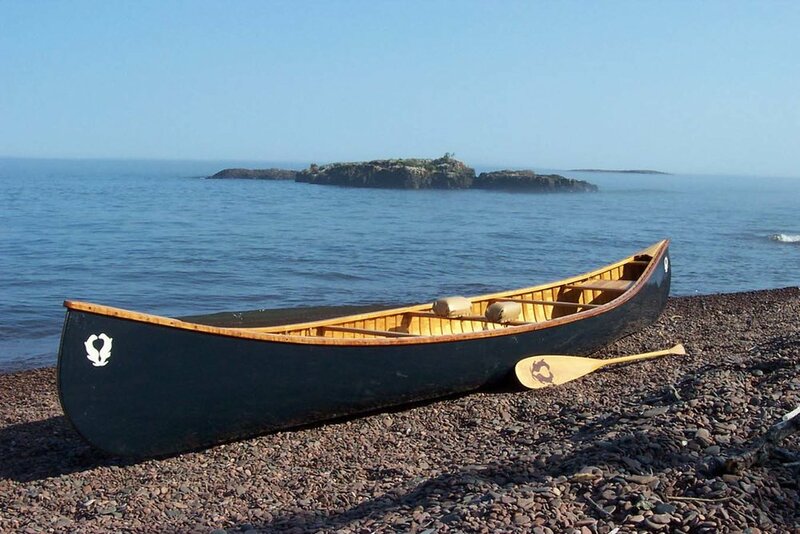 Wondering if a Wood & Canvas canoe is the right choice for you? Owner, Builder, Jeanne Bourquin answers the question, Why Wood?